Brighton have struggled to make a solid start at home this season. 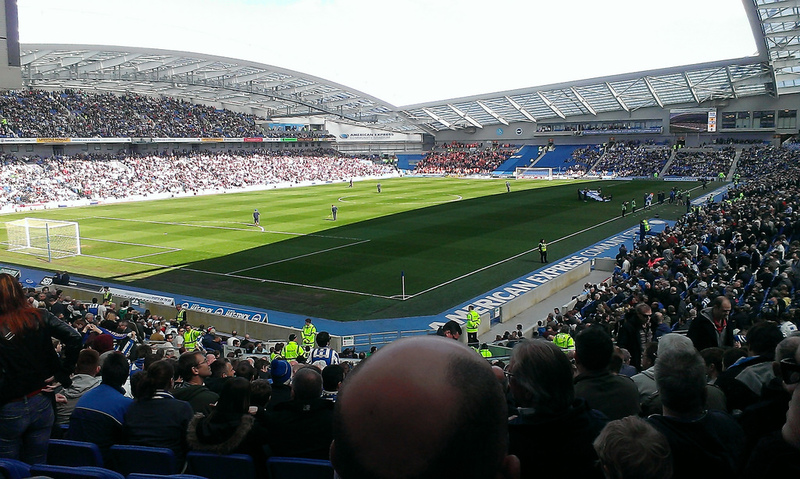 Chris Hughton's side haven't won any of their games since shocking the Red Devils at the Amex in mid August. Brighton and Hove Albion host West Ham United today in search of three important points that could end their poor run thus far in the Premier League this season. Chris Hughton's men have been unlucky in recent weeks and haven't been at their best since pulling off a superb win against Manchester United midway through August, earlier in the season. That 3-2 win was the last win that the Seagulls have enjoyed domestically this season and they will hope to bounce back and turn a new page on their season and improve things for the better. As for Manuel Pellegrini, he will be looking to continue a good run for his Hammers. Since losing against Wolverhampton Wanderers, Pellegrini's side have remained unbeaten for the majority of September and will look to kick off October in a similar fashion. Brighton boss Hughton has confirmed the Seagulls will be without key creative midfielder Pascal Groß for the clash, the German hasn't made any assists thus far this season, however, he remains a key component of the way the Seagulls play. Additionally, Hughton may be close to welcoming Dale Stephens back into first-team contention. A decision will be made on his availability after his fitness has been assessed. For the Hammers, there are several key injury concerns ahead of this evening's clash. Defender Winston Reid, Jack Wilshere and key attackers including Manuel Lanzini and Andy Carroll are all unavailable for this game. Marko Arnautović is ready to play through a knee injury which he has not fully recovered from yet. The Austrian has been in good form thus far this season and will look to keep it up against the Seagulls. Last season's game at the London stadium was one to remember for the travelling Seagulls, who witnessed Hughton's side emerge 3-0 victors with José Izquierdo's goal stunning all in the crowds on the day. The Hammers haven't had any happy travels to Brighton in recent times. They have lost all the three games that they have played away at Brighton, in 1981/82, 1982,83 and last season as well. Brighton will look to gain confidence from their history in this fixture as former Hammers man Hughton looks to build his side's confidence up again ahead of the final fixture before the international break. Seagulls veteran Glenn Murray will look to hurt the Hammers once more this time around. The Englishman has started the season well and is the fifth top scorer in the league with five goals to his name. He will be a key player to watch out for, for Pellegrini's defence that has looked shaky at the back at times. Ryan; Montoya, Dunk, Duffy, Bong; Kayal, Knockaert, Pröpper, Bissouma, March; Murray. Fabiański; Zabaleta, Balbuena, Diop, Masuaku; Rice, Noble, Obiang; Yarmalenko, Arnautović, Felipe Anderson.